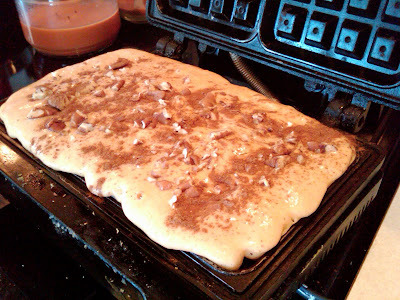 sprinkle batter with chopped pecans and cinnamon and cook until golden brown. The Pecans have that wonderful toasted nut aroma and flavor. 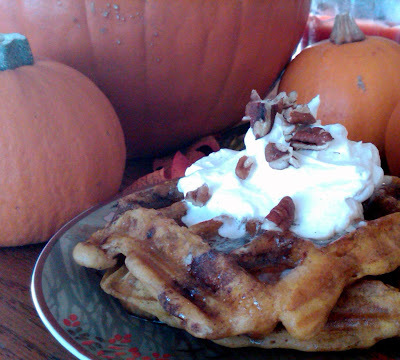 Serve with butter, maple syrup and cinnamon whipped cream! 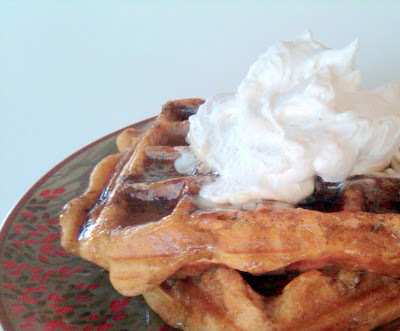 Make cinnamon whipped cream by adding a little cinnamon and sugar to your heavy cream when whipping it. Top with more chopped pecans, and enjoy!!! Coming soon: Pumpkin Praline Muffins with Cream Cheese Frosting, Grilled Cheese Sandwich with Pesto, Tomatoes, Bacon, and Mozzarella Cheese, Super Moist Banana Walnut Muffins and more!!! 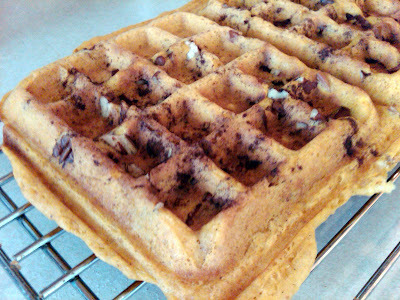 I have never thought about sprinkling anything on waffles before baking them! How smart! Wow! Those look awesome. I haven't made waffles in a long time. I think the waffle maker will be making an appearance soon. We made them for dinner...and they are amazing!!!!!!! 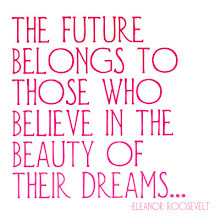 Thank you Hanne!! We now have a new favorite!